Due Diligence, runner-up in the 2014 Diamond Jubilee Stakes, has his first foal on the ground, a filly out of the Approve mare Free Entry that arrived on Thursday morning at Whitsbury Manor Stud. The filly is the first foal out of Free Entry, a two-year-old winner and half-sister to the Group 3-placed Golden Destiny, from the family of Catch The Blues, winner of the Group 3 Ballyogan Stakes at Leopardstown. Due Diligence, a six-year-old son of War Front, was brought over from the US where he won a valuable two-year-old contest for Todd Pletcher. Under the care of Aidan O'Brien, his three-year-old campaign saw him win the Listed Lacken Stakes at Naas before finishing second to Slade Power in the Diamond Jubilee Stakes at Royal Ascot. He had four more starts at four, the last of which was a fifth-place finish in the Haydock Sprint Cup behind Twilight Son. 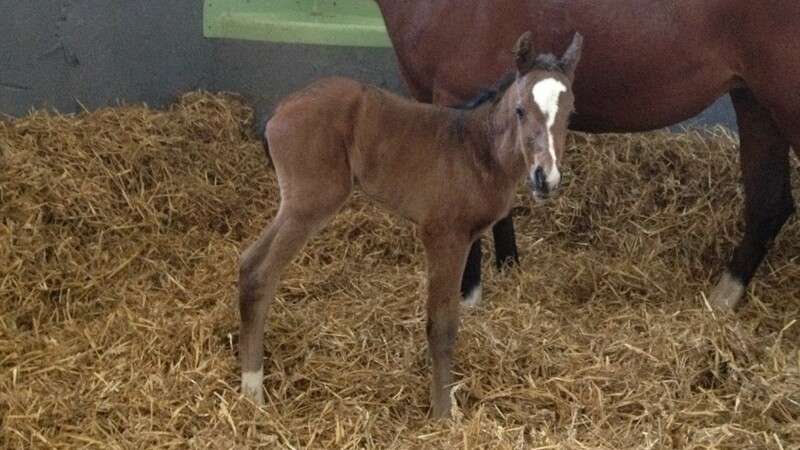 Ed Harper, stud director at Whitsbury Manor Stud, said: "We're delighted to welcome the first foal by Due Diligence. "The filly is an attractive bay, nicely marked in a similar way to her sire, and a good size for a maiden mare. We have 16 mares to foal to him this season, so we look forward to seeing a lot more of the same."